So as I travel through the Northeast this summer, I am always looking to find a place to wet a line or talk fly fishing with the local fly anglers. This has led me to spend many many dollars in fly shops and afforded me the opportunity to meet so many new people and forge great friendships. I got a text from Capt. Mike Faulkingham, of fishportlandmaine.com, asking if I wanted to fish. Well duh! Of course, so with little sleep and lots of coffee, we lit out with his father, Capt. Forrest Faulkingham to introduce me to Maine fly fishing and stripers. Let me tell you, it is very different than sight fishing on the still crystal clear waters of a flat. We launched 350 and 450 grain sinking lines at ledges, drop offs and structure hoping to nab an eat. We spent the next 7 hours solidifying our friendships with tales of glory on the fly, lies about everything we could imagine and professional grade smack talking. It was a wonderful day, and I wouldn't have had it any other way. Needless to say, we enjoyed ourselves thoroughly, and came away as new found friends. 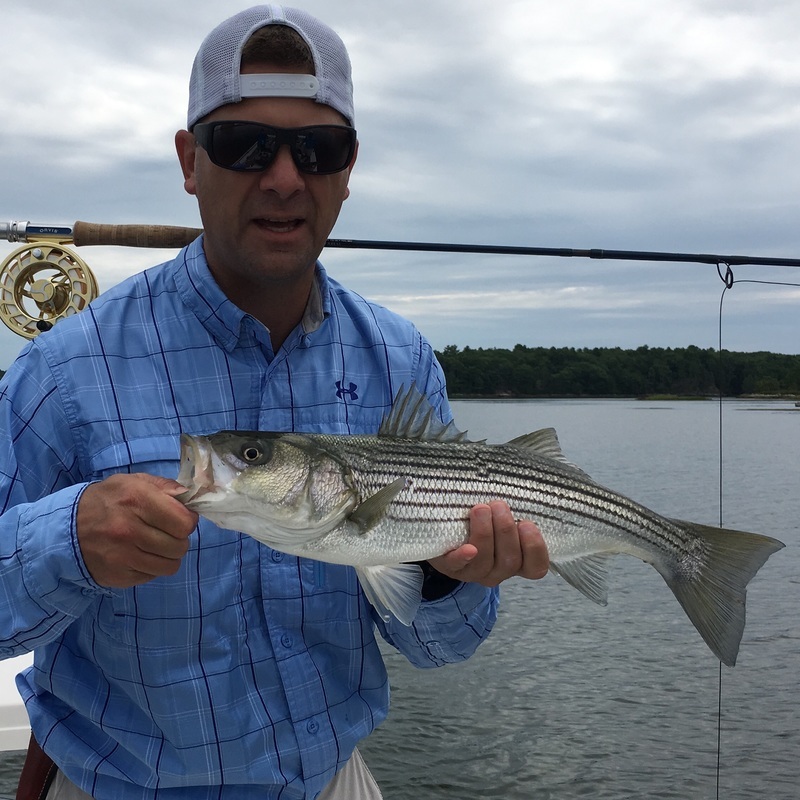 And we caught fish- no monsters but plenty of quality stripers. I will be back looking for more that's for sure. A passionate fly fisherman and guide dedicated to giving you the best possible angling experience.